Bolton, Mass. -- Conventional wisdom told us this was the first true test of the season for both Marlborough and Nashoba Regional. After three weeks of playing average competition, in which the two clubs beat up on teams with a combined record of 1-17, this meeting was a gauntlet between the two top programs in the Mid-Wach B Division. Once the dust cleared, it was Nashoba who came out on top, narrowly posting a 16-13 triumph over No. 24 Marlborough to protect home field. The Chieftains (4-0) were able to withstand a thrilling late Panther drive to secure the victory. 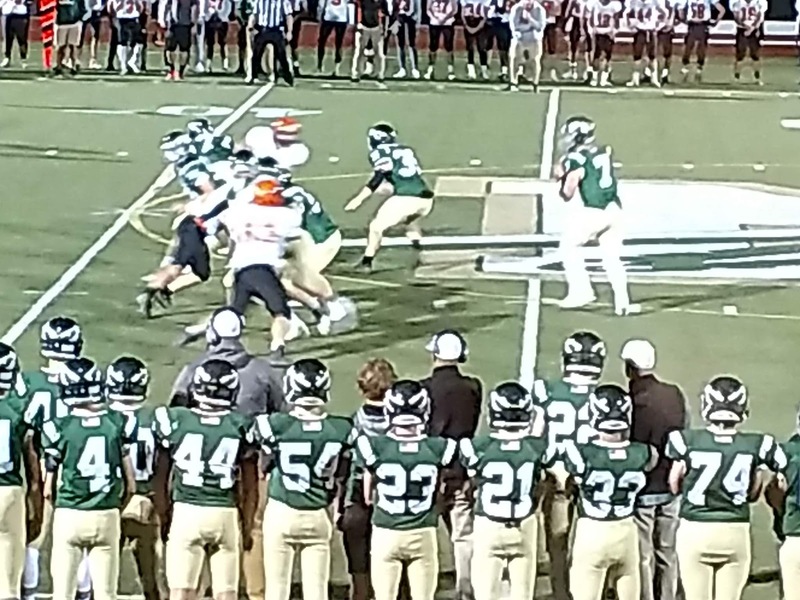 After Marlborough had stopped Nashoba on fourth down at the Panther 18-yard line, courtesy of a Christian Basquiat sack of quarterback Sam Bolinsky, the Panthers, trailing by three, regained possession with just over seven minutes remaining. Marlborough methodically moved the ball down field behind the hard-running of backs JJ Jarmman and Lou Vigeant. After reaching the Chieftain 9 yard line with less than a minute to go, two Richie Webber passes fell incomplete. With just over 20 seconds showing on the clock, Marlborough coach Sean Mahoney opted to send kicker Lucas Ando out to attempt a game-tying 21 yard field goal on fourth down. The junior's kick, however, fell just shy of the crossbar which enabled Nashoba to run out of the clock. "Our kids prepare themselves every week and our coaching staff does a really good job," Chieftains coach Jamie Tucker said. "The kids just seem to do a really good job following the game plan. That held true tonight. Both teams did a good job but it just came down to our kids making plays when they needed to." The Panthers finished with 172 yards, led by Jarmman (77 yards) and Vigeant (69). But Webber, a senior, was just 1 of 10 passing for 11 yards. These two rivals have developed a bit of history of late. Last season, the Chieftains defeated the Panthers in the Division 4 Central Mass. Final. In 2016, it was the Panthers eliminating Nashoba in the Division 2A Central Mass. title tilt. After falling behind early, thanks to a Vigeant 2 yard touchdown run, the Chieftains (177 yards) erupted for 10 unanswered points to grab a 10-6 advantage heading into the half. 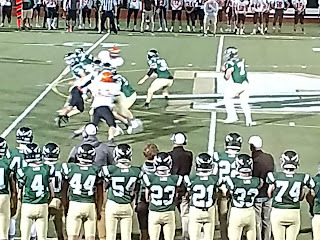 Running back Alex Childs’ 1 yard carry across the goal line and the ensuing extra point put Nashoba on top 7-6 early in the second quarter. A few minutes later, after a Webber pass was picked off by Troy Barksdale, Nashoba set itself up for a Childs 31 yard field goal with 5:46 left to go before intermission. "They played good defense and we played good defense," said Mahoney, his team falling to 3-1. "It came down to one play. It's tough but maybe we'll see them again (in the playoffs)." After both teams squandered opportunities to begin the second half, Nashoba was extended its lead midway through the third quarter. Bolinsky (9 of 14 for 137 yards) connected with John Foney in the flat and the senior wide-out broke away from a couple of would be tacklers, sprinting 42 yards to make it 16-6. The Panthers caught a much-needed break moments. After punting the ball on its ensuing possession following the touchdown, Marlborough’s defense smothered Bolinsky which resulted in a fumble that was scooped up by junior lineman Steve Brettenfeld and returned 8 yards for the score to bring the Panthers back within three with 1:56 to go in the third. Drama ensued after Marlborough was able to get the ball back on downs following another Bolinsky sack. The Chieftains defense bent, but refused to break, before nervously watching Ando’s attempt sail a few feet shy of its mark. "Our guys were able to make some big plays in the end when they were on the 9 yard line," said Tucker. "They just came up and made big plays when they had to. As they were driving we were wondering if we needed to call a timeout. But once it got to a fourth-and-goal situation for them, time wasn't much of a factor at that point. It was just a matter of us keeping them out of the end zone and winning this game."